Well well, doesn’t time fly?! This weekend 46 years ago ‘OUT OF TIME’ first entered the NME TOP THIRTY. Whilst it entered at a modest No.23, we all know where it ended up . 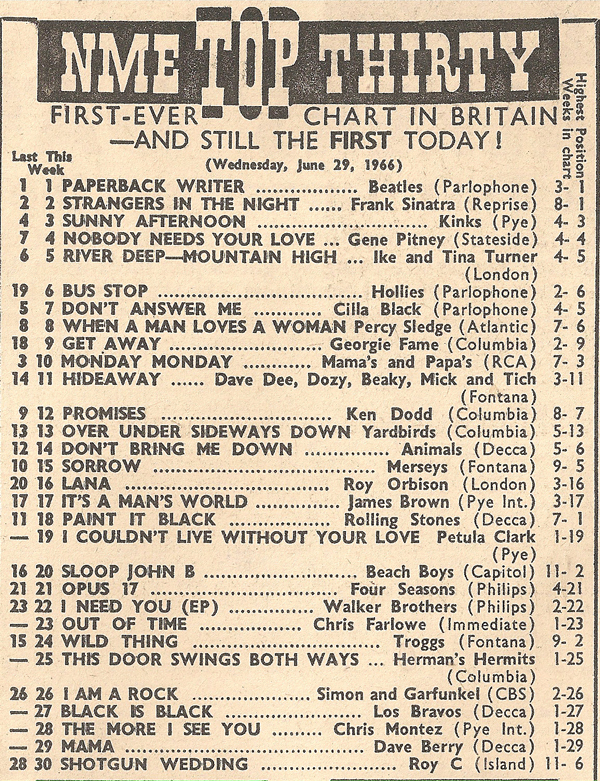 . .
As an aside note, did you know there wasn’t an ‘Official’ UK Chart until 1969? Strange but true!